Raiffeissen Bank (Bulgaria) will provide a 72 mln leva loan (36.8 mln euros) for the construction of the Winslow Gardens projects, the bank told Profit.bg. The credits' maturity is 42 months and will support the first stage of construction which is scheduled to end by mid-2010. Raiffeissen Bank is also ready to provide loans to clients of the complex who would need credit in order to purchase an apartment or garage, to carry out repair works or buy furniture. The loans' minimum term is 3 years and the maximum is 30 years. For purchases of apartments, the construction of which has not yet began, the customer can get up to 80% of the property's market value, while for apartments in an early stage of construction the maximum amount of funding is 90%. Clients can also purchase apartments via Raiffeissen Bank's property agency – Raiffeissen Properties. Winslow Gardens will be situated in the eastern part of Sofia's Manastirski Livadi area and will comprise a total of 437 apartments. Its main advantages are the low-rise construction, the 12,000 sq m park and greenery, the SPA center, gym,the 25-meters swimming pool, a basketball court, football pitch and underground parking lot. The complex will also have its pharmacy, medical offices, day care, dry cleaner's etc. Glavbolgarstroy will execute the first stage of construction, which will cover some 22,000 sqm. 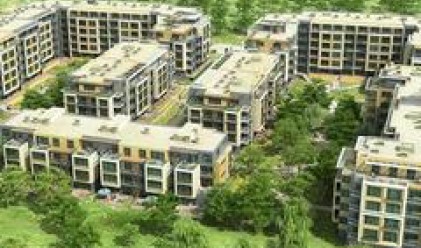 A total of 200 million leva (102.25 mln euros) will be invested in Winslow Gardens, 105 million of which will be consumed by stage one. Some 9 million leva (4.6 mln euros) will enter the state budget as taxes and fees. The project has been awarded a first Class Investment Certificate by the Ministry of Economy and Energetics. The investors are Winslow Developments and RREEF – the property investment division of Deutsche bank AG. Some 60% of properties have been sold before the start of construction.